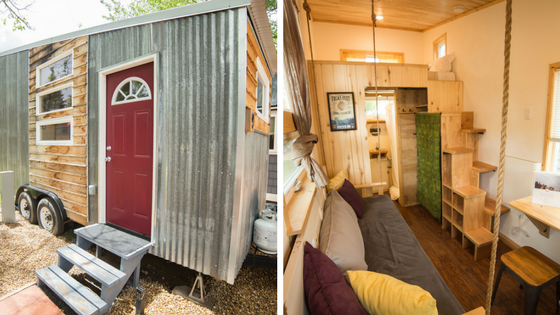 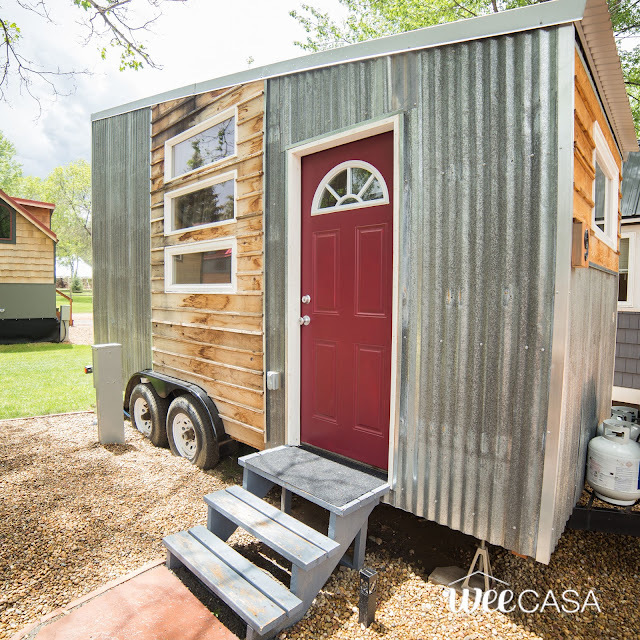 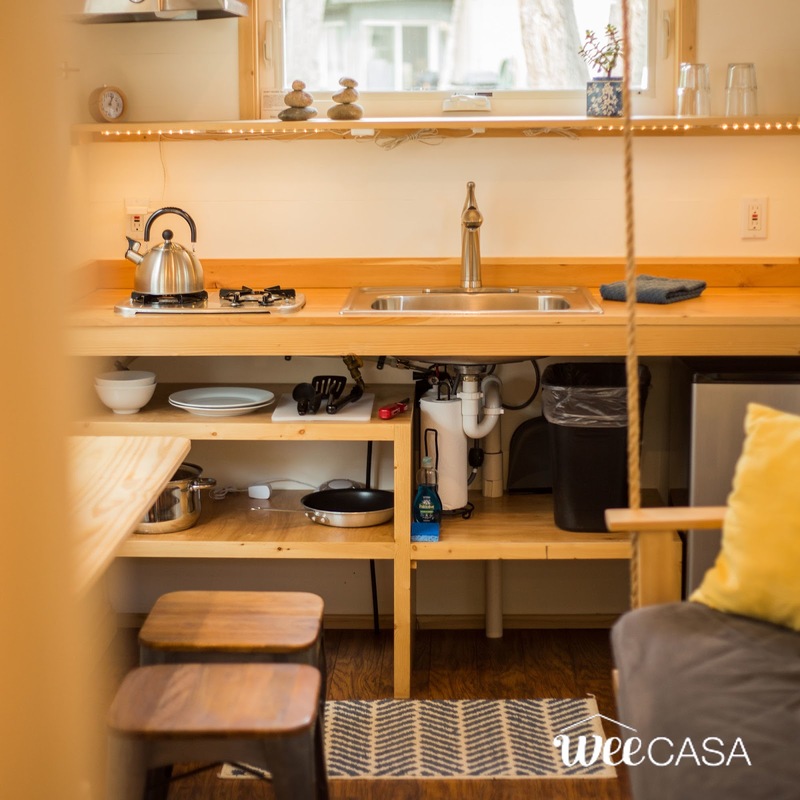 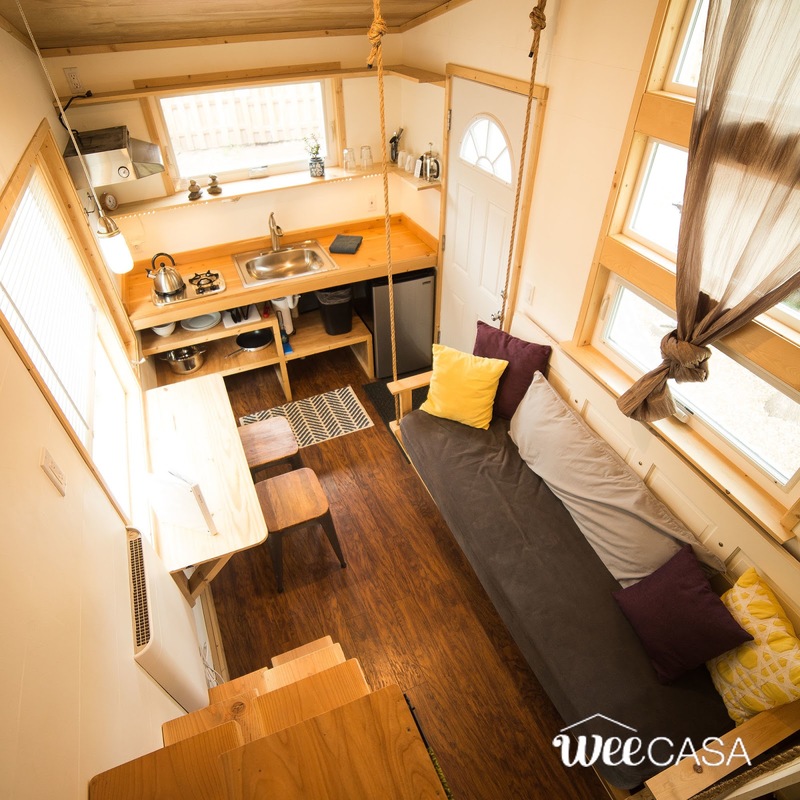 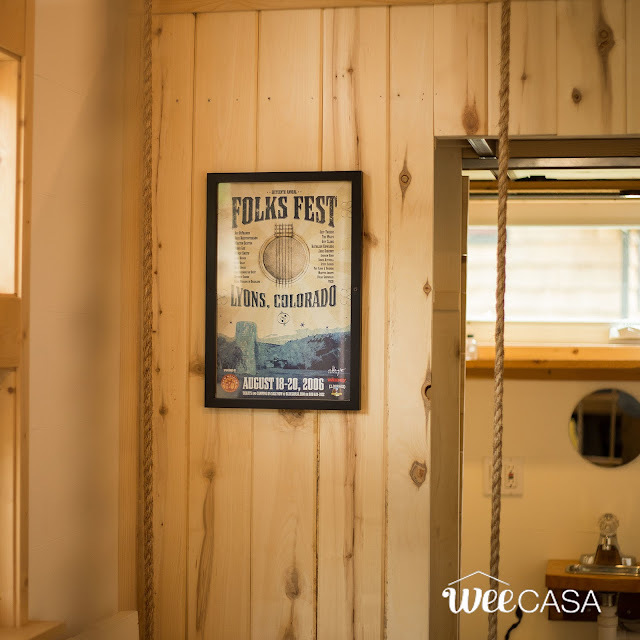 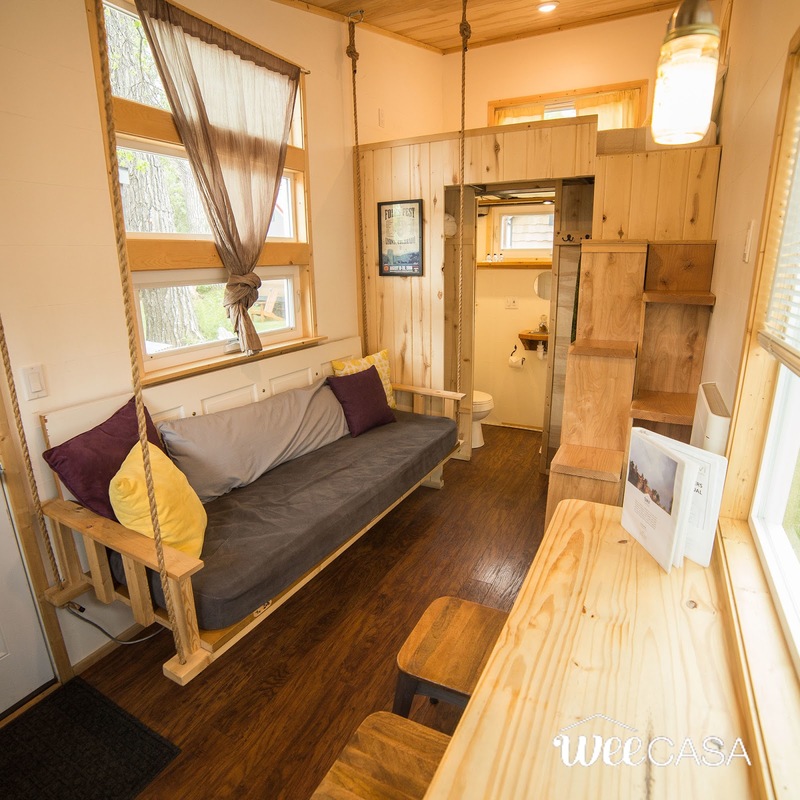 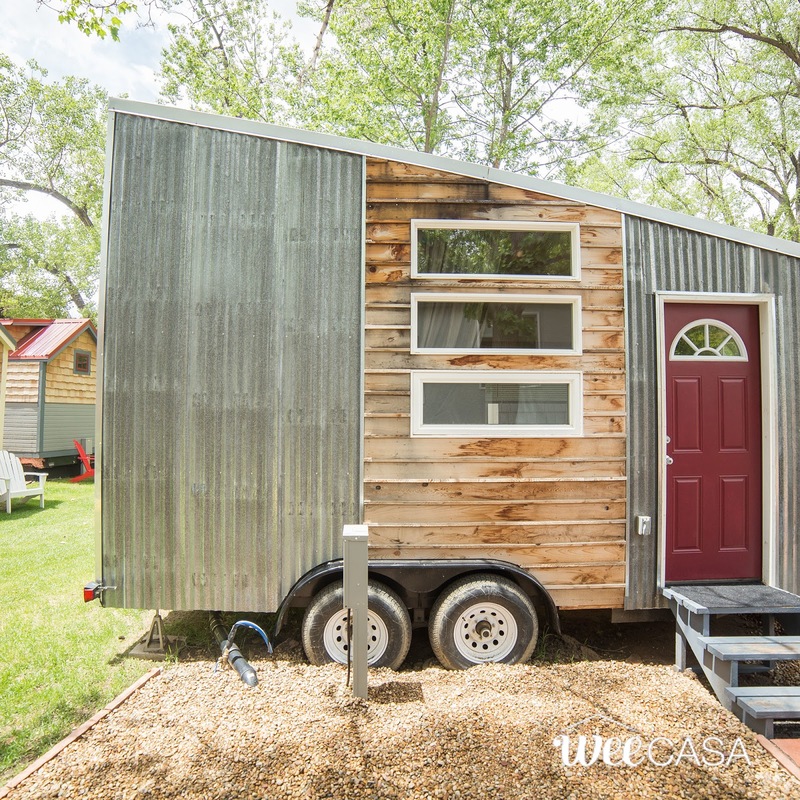 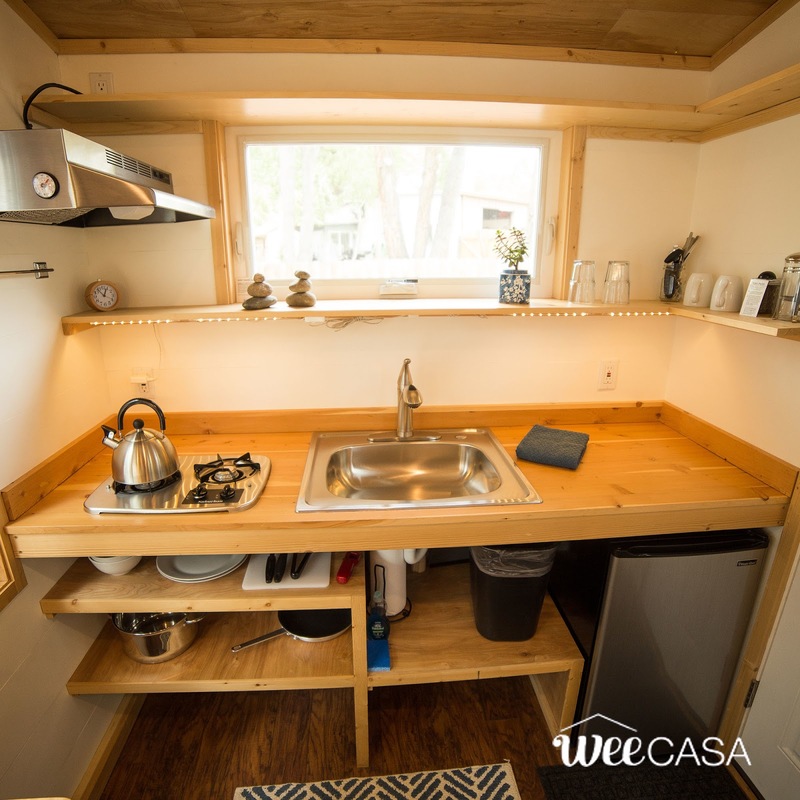 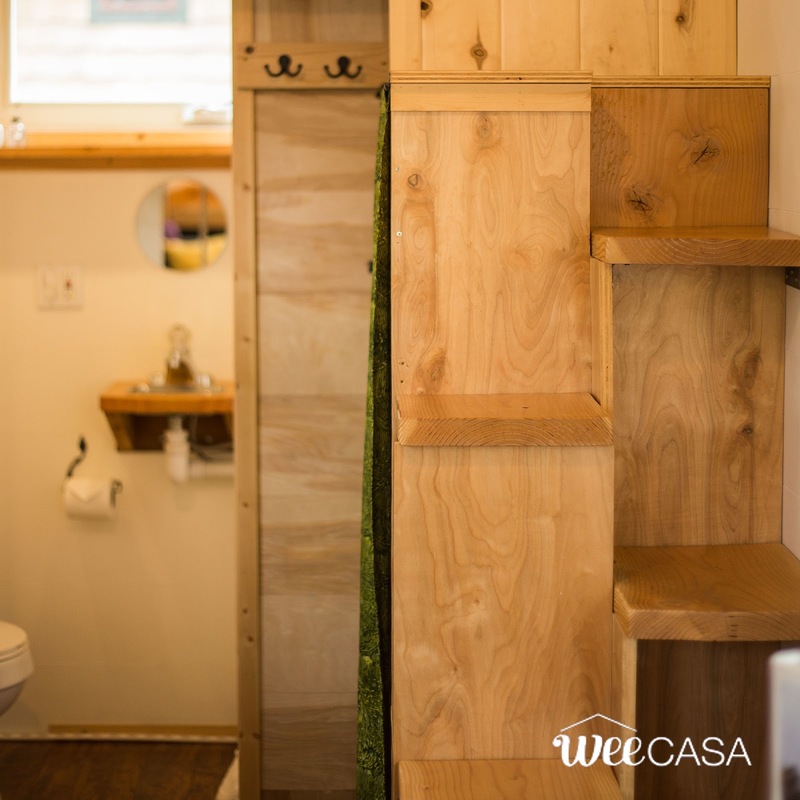 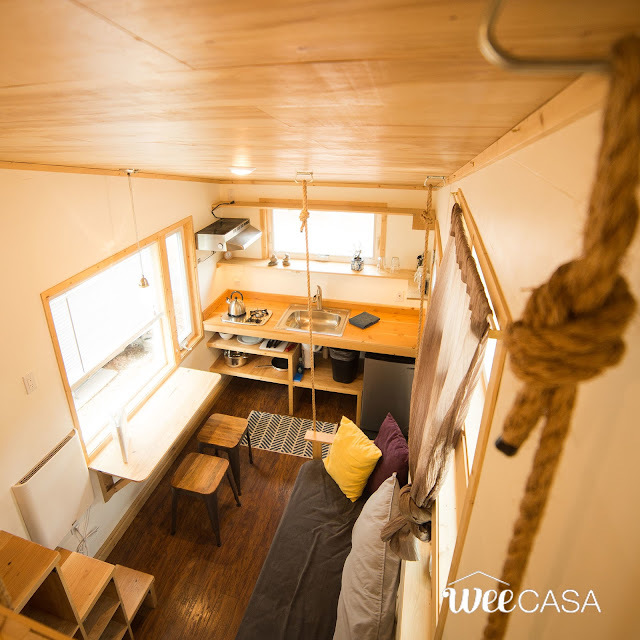 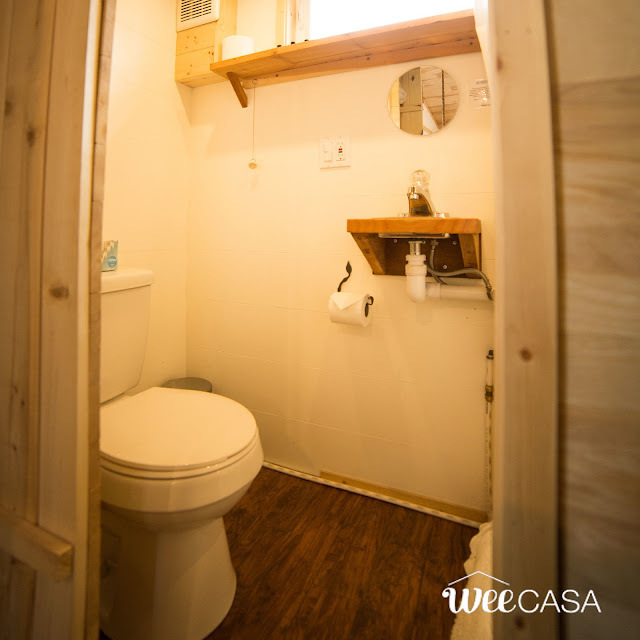 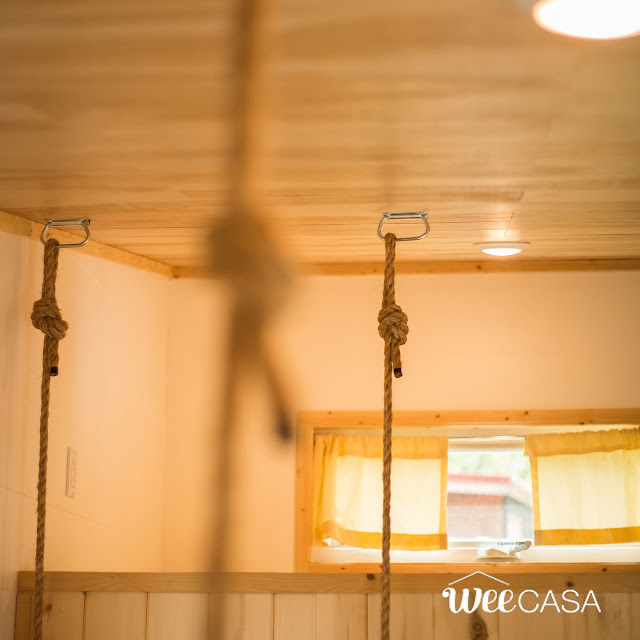 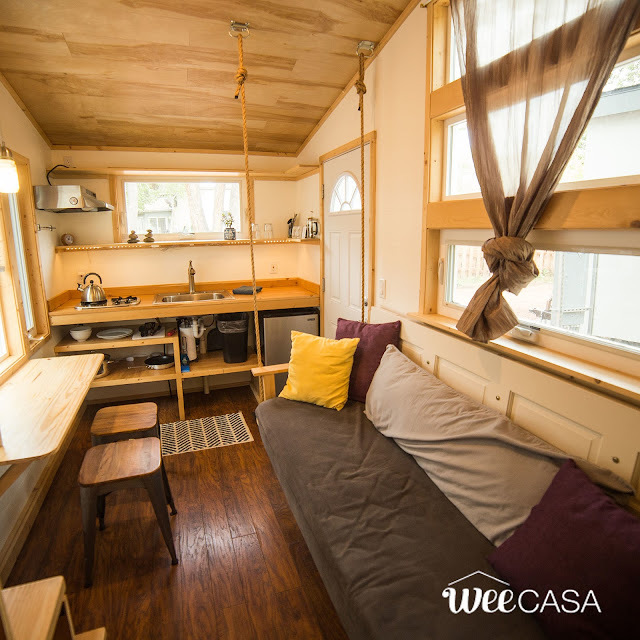 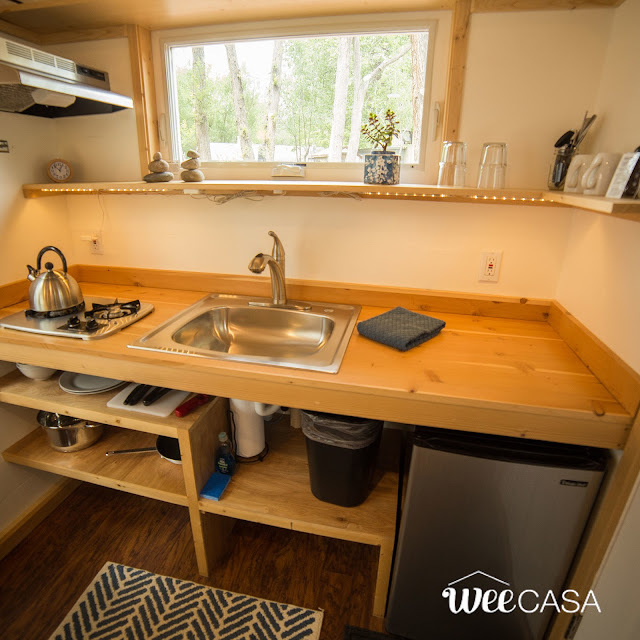 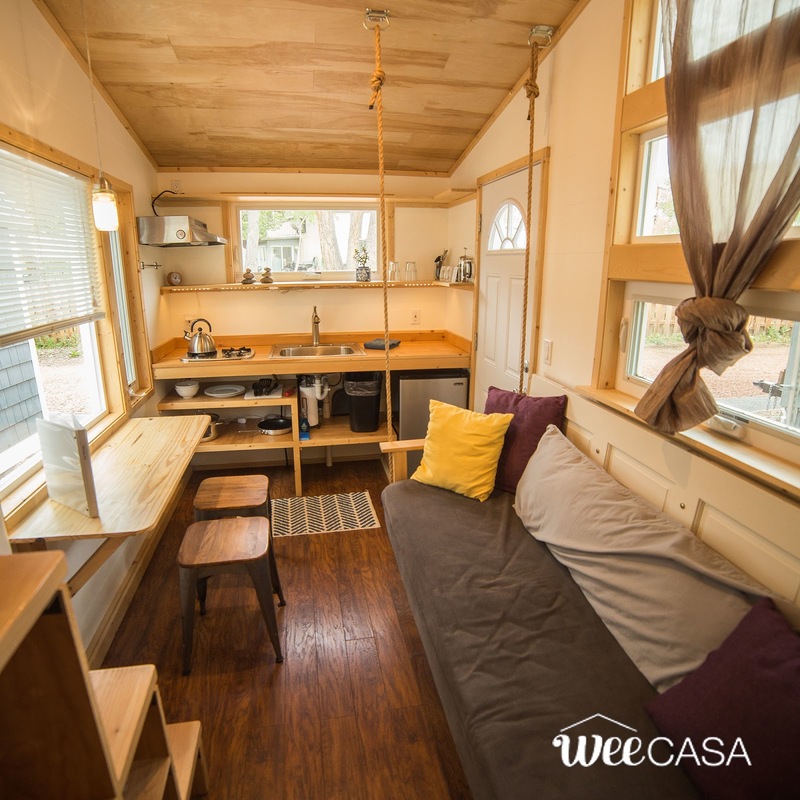 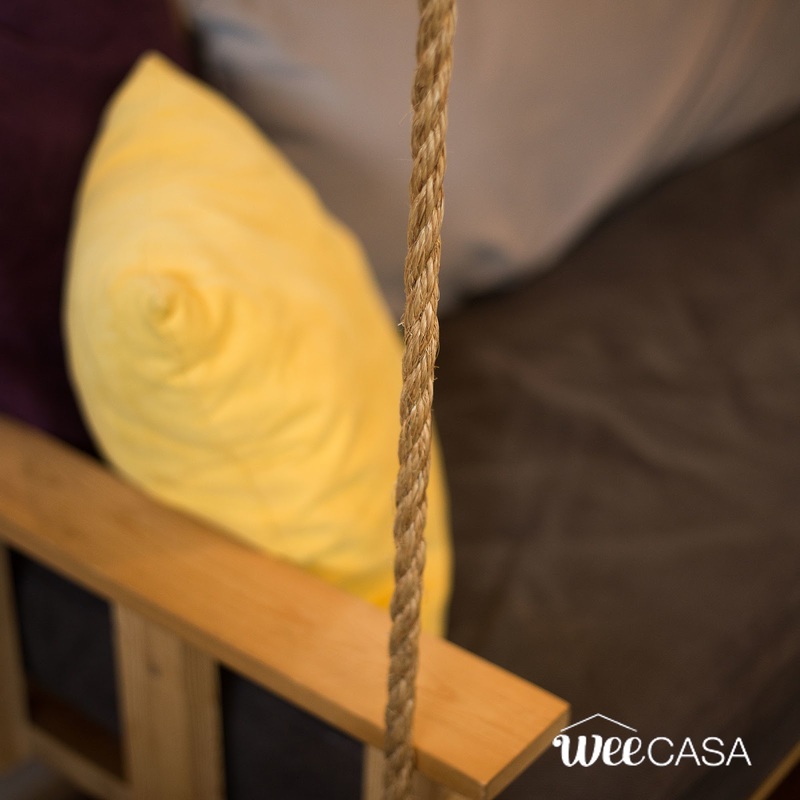 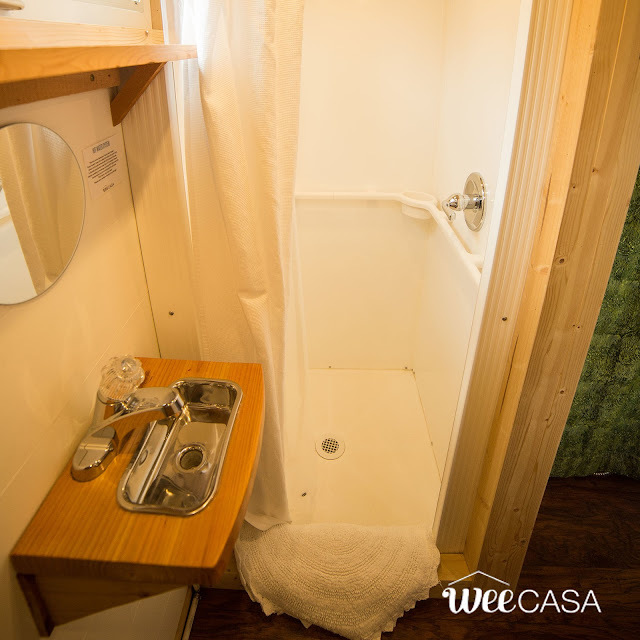 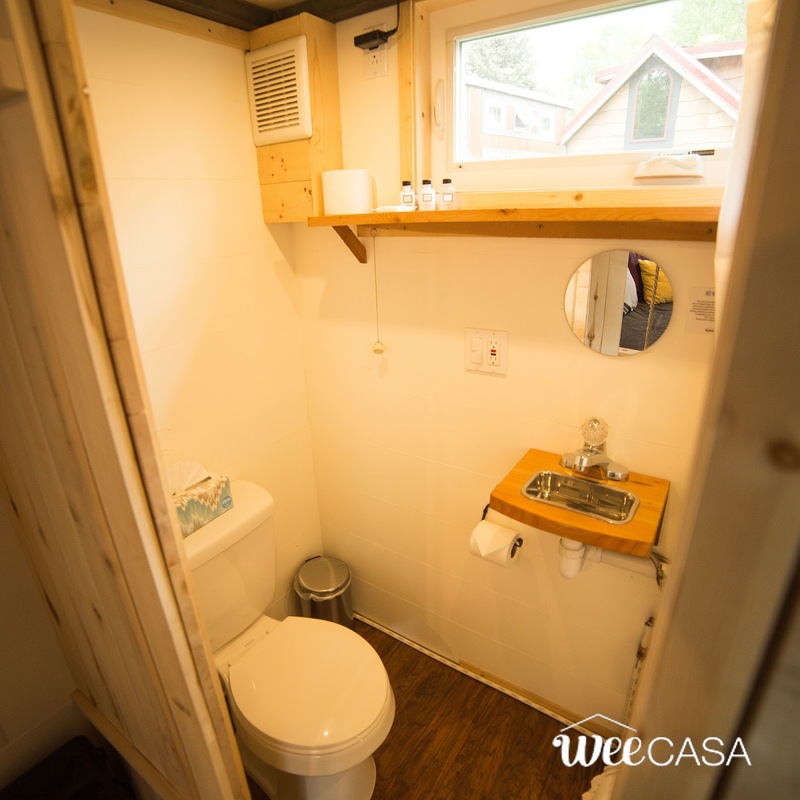 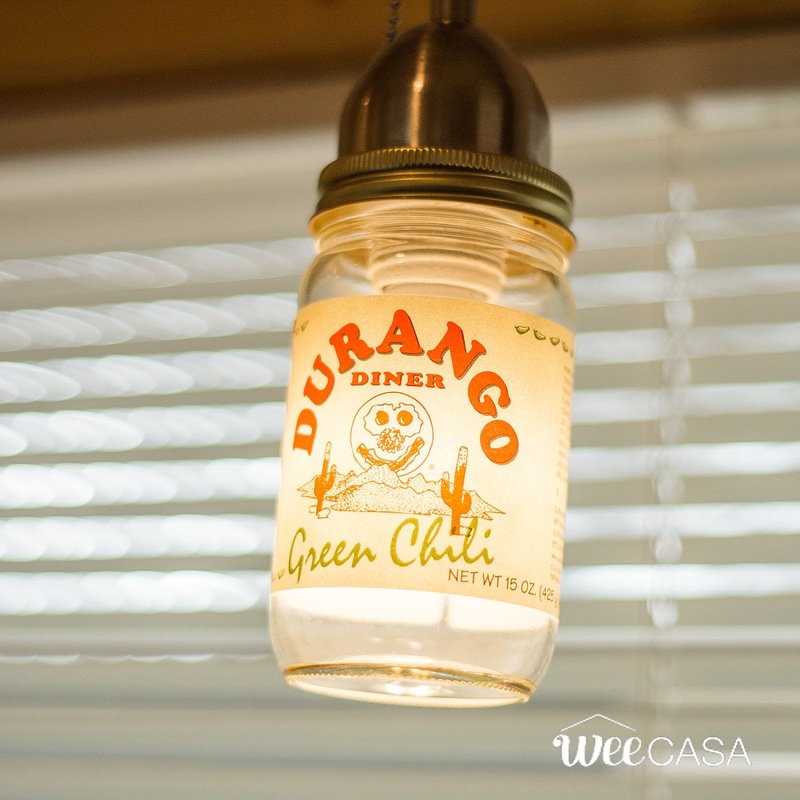 If you've ever wanted to try out tiny house living, the WeeCasa Tiny House Resort is the perfect place to do it! One of the available homes is The Boulder: a cozy tiny house built onto a double-axel trailer with a wood and corrugated metal exterior. 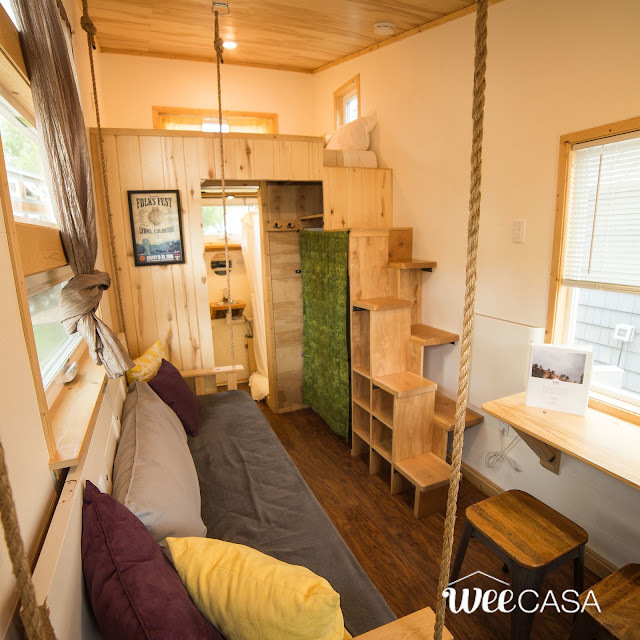 The house's 133-sq-ft interior features a living room with a swinging sofa made from a recycled door! There's also a kitchen that comes with a propane stovetop and a mini fridge. 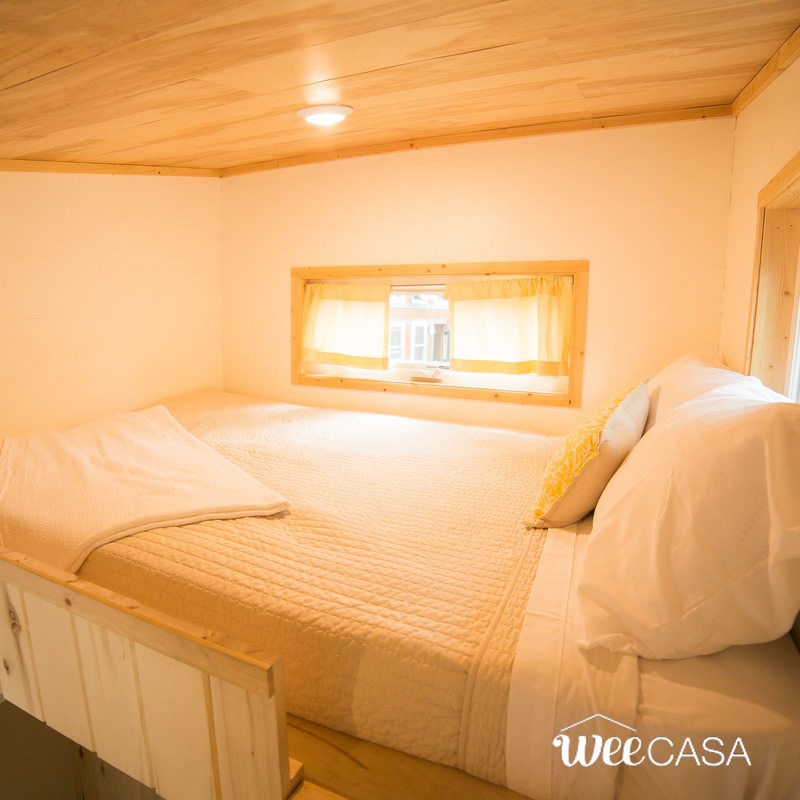 Also available is a lofted bedroom, accessible by alternating-tread stairs! The Boulder is available for rent here for $129 a night! 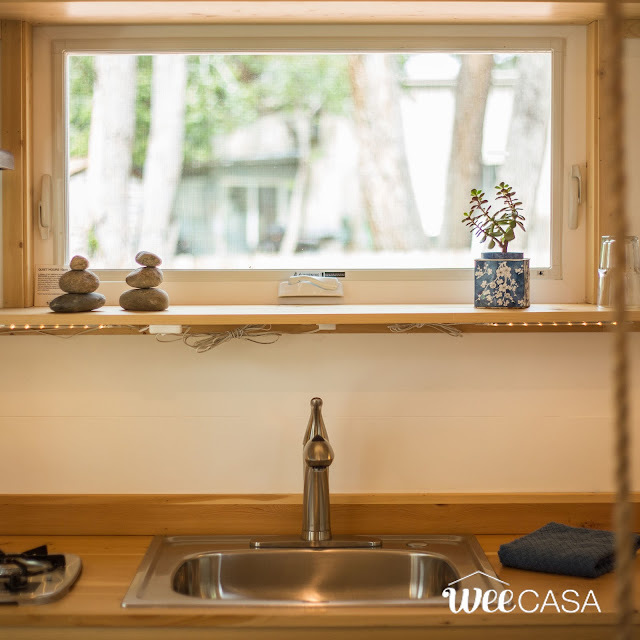 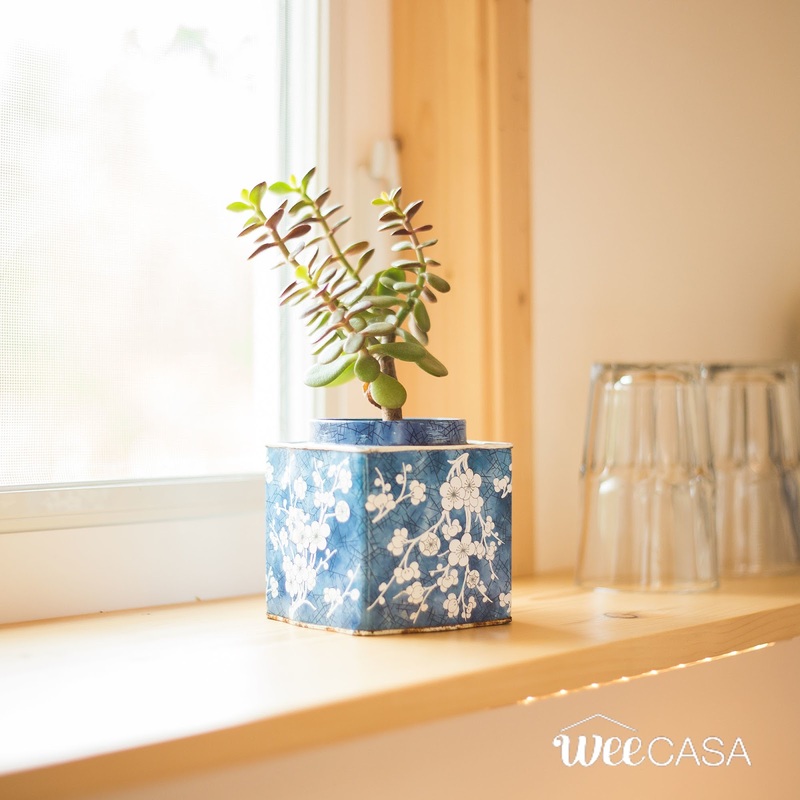 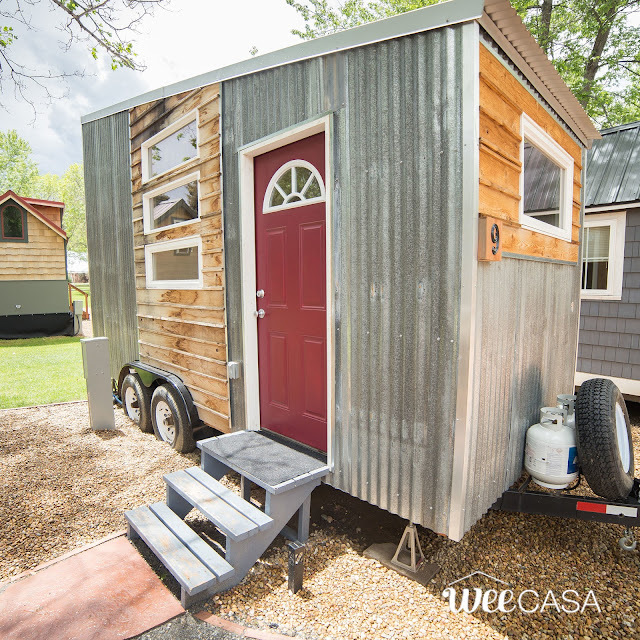 Be sure to check out these other tiny houses, available from WeeCasa!